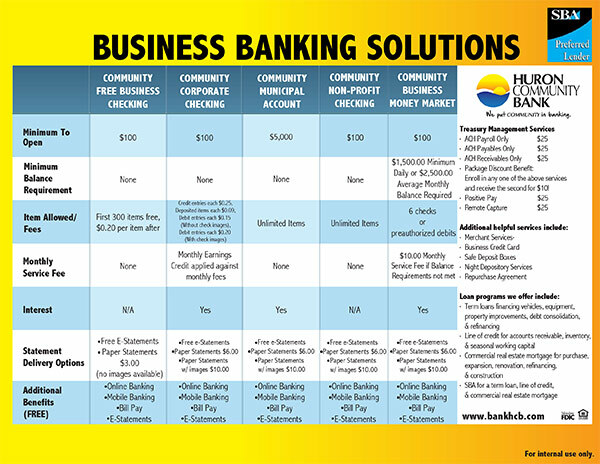 Our Community Business Checking is an account designed for all business entities processing fewer than 300 items per month. * Items over 300 will be charged $.20 per item. Our Community Corporate checking account is designed for all high volume business entities exceeding 300 items per month and carry a large account balance. Account fees may be offset by a monthly earnings credit. *The Earnings Credit is a variable rate determined from time to time by the bank. This rate is calculated on your average monthly ledger balance and is applied against the monthly service charges at the end of each statement cycle. Our Community IOLTA checking account is a lawyers trust account which pays a competitive market interest rate and gives you the convenience of unlimited check writing. *This account earns interest at a variable rate. These rates may change at any time without prior notice. Our municipal checking account is an interest-bearing checking account designed specifically for municipal organizations, including cities, counties, townships and villages. *This account earns interest at a variable rate. These rates may change at any time without prior notice. Fees could reduce earnings on the account.